This is the plain ring in the image. A 6mm wide medium flat band with a satin finish on one half and a polished finish on the other separated by a polished groove. 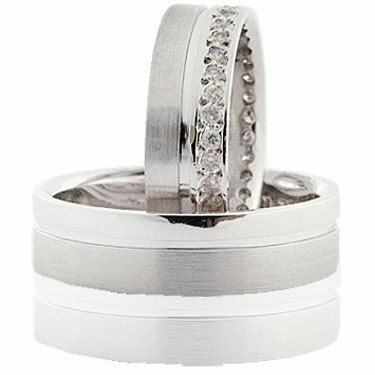 The ring is available in various metals; the link below takes you to the diamond ring.